Justice Inyang Ekwo of the Federal High Court Abuja, on Tuesday dismissed the suit filed by the African Action Congress (AAC) seeking for a fresh election of the governorship and House of Assembly elections in Rivers State. Justice Ekwo dismissed the suit on the grounds that it is a pre-election matter and as such the court lacks the jurisdiction to entertain it. The AAC had in their originating summons prayed the court to stop the Independent National Electoral Commission (INEC) from resuming, collating and concluding the March 9 election results in Rivers State and from declaring any person or group as winners of the poll. The plaintiffs further urged the court to order a fresh election since, according to them, the widespread violence that characterised the election has affected the credibility of the polls. 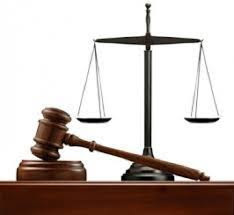 But delivering the judgment of the court on the preliminary objection filed by the second defendant, Justice Ekwo held that the matter, being a post-election case, ought to be heard solely by an election petition tribunal and not the Federal High Court or any other court. He said though the matter brought before the court concerns the credibility of the March 9 governorship and House of Assembly elections, which was marred by violence and other issues, but for the fact that election has been held, jurisdiction has shifted from the Federal High Court to the tribunal. Justice Ekwo held that the reliefs sought by the plaintiffs are post election reliefs and since election matters are statutory, the Federal High Court cannot grant them. “Once election has been held, any dispute arising from the election are matters of the tribunal,” he held. Justice Ekwo subsequently declined jurisdiction and ordered the dismissal of the case for want of jurisdiction. He added that since the preliminary objection of the second defendant succeeds and is hereby upheld, it would be pointless to go into the main suit. The AAC had asked the court to stop INEC from proceeding with the collation, conclusion and announcement of results in the March 9 governorship and House of Assembly elections in Rivers State pending the determination of their suit. The party alongside Biokpomabo Awara and Ben-Gurion Peter, citing widespread violence and other electoral malpractices called for the cancellation of the Rivers polls and a fresh one be conducted instead. Respondents in the suits are the INEC and Peoples Democratic Party (PDP). The electoral body had last month suspended the electoral process after some military personnel and armed men invaded its collation centre in Port Harcourt, Rivers State. After it suspended the process, INEC then constituted a fact finding committee to look into the issue and advised accordingly.